Back to School: Is there a best age? In Australia many children will be starting school for the first time tomorrow. 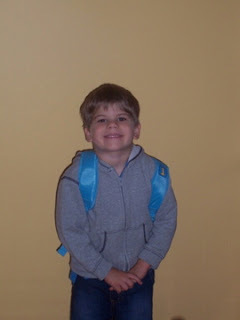 I can still remember the mix of emotions that my wife and I experienced when we sent our eldest child off to her first day in Kindergarten (the first day of formal schooling). Now she is 30 and this year she is sending her own son, and our first grandchild, off to school. And we were just as nervous about Jacob. In Australia the school year begins in the last week of January or the first week of February and ends in the same calendar year (in mid December). The starting age varies from state to state. In NSW any child may commence school if they are five years old or turn five prior to the 31st July in that year. In South Australia children can start in the school term after they turn five. In Queensland there is a non-compulsory Prep year (like preschool) followed by formal school entry if the child turns six before the 30th June in that year. It’s all a bit confusing and the Federal government has been discussing a standard starting age for some time. In other countries we see similar diversity. In Finland children start formal schooling in the year in which they turn seven. In Germany it is six, in Britain 5 and in the USA it varies from state to state. So is there a best starting age? This is one of the most common questions I hear from parents. The short answer is that there probably isn’t. It all depends. Yes, children need to have reached a certain minimum stage of physical, intellectual and emotional development to cope with school, but variations across the ages 4 to 6 years don’t seem to make huge differences to children’s long term academic achievement. One study conducted by Magliacano tested children in year 2 (the second year of formal schooling in the USA) who had started school in two different age ranges (young and old). They tracked those who started between 4 years 11 months and 5 years 4 months (the younger students), and those who started between the ages of 5 years 5 months and 6 years 1 month. The study found "no significant difference between the samples in reading test scores as a result of chronological age". In a study published in the Journal of Educational Research, Sandra Crosser compared academic achievement indices of seventh to ninth graders who entered kindergarten at age five with similar children who entered at age six. There were some differences and "all statistically significant differences favoured older males and females, especially in reading for older males." He Has a Summer Birthday: The Kindergarten Entrance Age Dilemma. It would seem that there is little evidence for a universal perfect age for starting school, so there isn't much pointing asking anyone what it is. It would seem that we need to make individual assessments. Here are some things to consider if your child has reached an age at which he/she can officially commence formal schooling. Can they feed themselves (pretty much unpack their own lunch)? How big is the child? Very tall children often struggle if held back when they eventually go to school. And very small children might struggle if they go early. Is your child able to cope with separation? Going to school should not be the first time the child has not been out of the sight of parents or the primary caregivers. • Concentrate on activities for extended periods of time (say at least 10-15 minutes on one activity). This might include being able to listen to a story, watch some television, sustaining attention on a game or activity that they like. • Hold crayons and show some interest in making marks or scribble (the early stages of writing), show some interest in print and symbols (e.g. “what does that say Mum?”), complete basic puzzles (maybe 30-50 pieces), try to write their name, count to five, recognise some letters. • Show some interest in learning. 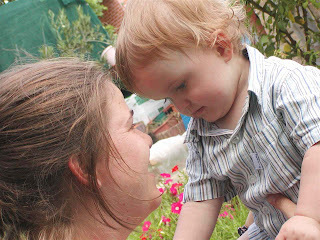 This can show itself in many ways such as inquisitiveness, exploration, and observation of things around them. • What is the school like? Do you know the teachers and do you have confidence that they will be able to understand your child and help them to find their feet at school? • What are your family circumstances like? If you have another sibling just one year younger you might want to make sure that you don’t have them going off to school at the same time. • What was the experience that you had as parents. Did you go to school early or late and what was the impact on you? Given the common gene pool this is a useful consideration. • What are your personal circumstances? Is there major upheaval in the family or some major change coming in the next 12 months (e.g. moving to another area)? If so, holding your child back might be justified. If all has been considered and the way forward is unclear I’d advise not sending your child at an early age. After all, there is little evidence to show adverse effects from starting late, but conversely there is some limited evidence to show that starting early might have some adverse effects for some children. An interesting postscript to this matter is that the country in the OECD with the highest school literacy levels is Finland, where the starting age is seven! First, time on task is important for success in anything. One of the most basic insights from literacy research in the 1960s and 1970s was the repeated observation by researchers like the late Dame Marie Clay in New Zealand and Richard Allington in the USA that struggling readers read less than successful readers. Less books and only about one third of the words. This doesn't seem too startling, but think about it. If a child is struggling with reading, how do they catch up with other children by doing less reading? The answer is that they don't! The gap gets wider. Second, being read to and with an adult offers many opportunities for learning. Mem Fox talks about children needing to be read at least 1,000 books before the age of five to be successful readers. While we could quibble over the precise number, the principle is clear. Being read to teaches much about language (vocabulary, how language works at the sentence and text levels, the sounds and rhythms of language and so on, concepts of print and how it works), knowledge of the world and positive experiences with books. The key is that reading should be enjoyable and the child needs to feel successful. Over the next few posts I'll offer some basic advice (primarily for parents) about reading to, reading with and listening to children as they read. Much of this same advice can be found in my book written for with Lynne Munsie, titled Beyond Tokenism: Parents as partners in literacy. Note that this book is meant for teachers who want to help parents to support their children and was an outcome of our research on familiy literacy. It is not written for parents. Read early - at least from birth (yes some parents even read when their child is in the womb). Read often - at least daily. Make it special - treat books as if they are precious, anticipate reading as if it's the most special time of the day and make the text an extension of a warm and loving relationship. 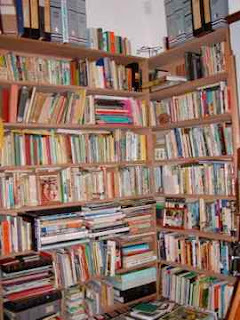 Choose books carefully - think about the things your children like, talk to other parents about books that kids like, consult lists like my list of 200 Great books. If you can, read the book before you read it to your children - reading out loud is a performance. Try to read the book with emotion, with invented sound effects, with different voices for characters and the narrator, changes in voice volume and tone. Be physically engaged - point to pictures (or parts of pictures) as you read, point to text devices and features. 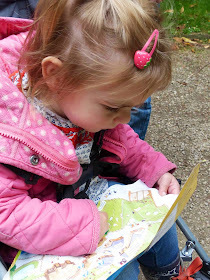 Make connections as you read with other books, experiences, TV etc (don't overdo this) - "This is a bit like the story....", "This is a bit like Daddy doing.....", "This sounds like...". Talk after you finish the book - again don't overdo it, it's all about response and reflection, it's not a comprehension test. "Did you like...?" "Don't you think this was like...?" The above comments are written with parents of young preschool in mind, but the principles are pretty much the same for children of all ages. You can read to your children until at least 10-12 years of age. It will be less regular with older children and it is likely that you'll share the reading rather than just reading to them. But the basics are still read regularly and often > making it special > choosing books carefully and with your child in mind (or help them to choose) > reading as well as you can > being physically and emotionally engaged > making connections with other books and experiences > encouraging response. I didn't think I'd be doing a post on TV again quite so soon but couldn't help but notice this interesting article in today's Sydney Morning Herald. 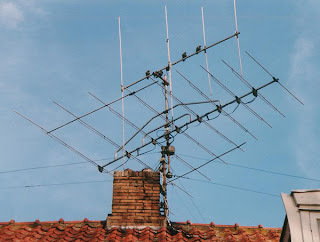 It argues quite rightly that there is a need for quality television. I'm thankful that there is some good television for children, much of which is on public broadcasting networks like the ABC in Australia and BBC in the UK. Any parent of preschool children will testify to the usefulness and importance of a limited amount of television. The article also makes some similar comments to those in my last post about the changing nature of television viewing. In my last post I hope I didn't give the impression that television is all bad. Of course it isn't. Just two quick comments on this. First, children (and adults) learn lots of things from television and using the internet. Second, shared viewing of television (or even computer use and gaming) can be very significant for building relationships with others. Good TV can be part of the shared experience that gives parents and their children, and children and their friends some common ground on which to build positive relationships. In a sense the role that good TV plays can be very similar to good books, music and other shared experiences. The Canadian Media Awareness Network that I mentioned in my last post has some useful thoughts on the benefits of television. Of course, for parents, the concern is with the quality of what our children view and the need to ensure that TV and computer use doesn't become so dominant that other things suffer. Things like play outside, strong physical activity (especially for boys), human interaction and so on. This is the challenge, to ensure balance in our children's lives. British children spend on average 5 hours and 20 minutes per day in front of screens of one sort or another (up from 4 hrs 40 minutes five years ago). Two thirds watch TV before school and 83 per cent turn it on when they get home. Fifty eight per cent watch television during their evening meal and almost two thirds of children do so in bed before going to sleep. Boys spend 2.7 hours a day watching TV and 1.9 hours on-line, while girls spend 2.6 hours watching TV but more time on the internet - 2.1 hours a day. 80% of children have a TV in their rooms. While 80% read books in their free time, only 53% do so at least once per week and 25% daily. This is not a new topic, we have known for years that children probably watch too much television. What is interesting about this recent work is the added influence of computers and the way TV and computers are pervading so much of life. While ChildWise have been conducting this survey for 14 years new insights are being gained. The most worrying aspect of the report is that it suggests that children seem to be doing more multitasking, watching TV while they eat, fall asleep, do homework, play video games, social networking online and so on. There is also a tendency to flick between channels (especially boys) to keep up with two simultaneous shows at once. While this might sound just like children imitating their parents, it is a worrying trend. What impact does such extensive TV and computer use have on reading (certainly, this research suggests that increased viewing may lead to a reduction in reading)? What impact does it have on family time and parent child interaction? What impact does TV and Internet use have on the whole child (e.g. emotional and physical health and development)? An excellent site that addresses some of the latter issues is the Canadian Media Awareness Network (I'll do a post on this later). This won't be my last post on this topic. I thought I might regularly feature a children's author who has written excellent books that children seem to enjoy. The author I've chosen for the first of these is Robert Munsch. The Power House Museum is presenting a children's play based on one of his best known books during January - The Paper Bag Princess. He was born on June 11, 1945 in Pittsburgh Pennsylvania, but has lived much of his life in Canada. He grew up in a family of 9 kids. In his words “when I went to high school, I didn't get along with anybody, read lots of books and decided to be a Catholic Priest. I studied for 7 years to be a Jesuit priest, only to find that I was lousy priest material.” He picked up an undergraduate degree in History and a Master's degree in Anthropology along the way. While studying for the priesthood he worked part-time at an orphanage and discovered that he liked working with kids. He left the priesthood, studied early childhood and spent 10 years in daycare where he discovered that he could tell stories that could make kids “shut up during naptime”. He later met a great librarian who encouraged him to write, which eventually he did. He wrote 10 different stories and sent them to 10 different publishers. One publisher accepted a story called 'Mud Puddle', it was published in 1979 and sold just 3,000 copies. These days before he puts a story to paper, Munsch spends up to three years telling, revising and fine-tuning the tale in front of his rapt audiences. His purpose in doing this is to see what children like; his story telling feeds his writing. 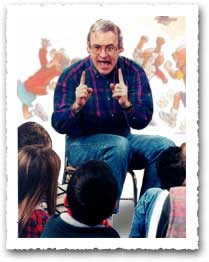 Munsch describes his stories as “middle of the road taboo”. So be warned, he uses words like pee and underwear and in his words, “the kids go absolutely bananas.” He also challenges traditional stereotypes and story forms. He uses characters that have spirit and are often unconventional. But it was the book Love You Forever that made him one of the most read authors in the world. It started out as a song that he wrote as a memorial for two stillborn babies his wife gave birth to in 1979 and 1980. He did little with the song because of the emotion it created, but one day sang it and decided that he should use it as the basis of a story. It was published in 1986. It tells the story of a little boy who goes through the stages of childhood and becomes a man. It speaks of the enduring love of parents and the cycle of life. Some will find it unusual. Even his early publishers said it was really better for adults. It sold 30,000 in 1986 and was the bestselling children's book in Canada that year. It sold 1,000,000 in 1988; was ranked number one on the list of bestselling children’s books in 1994 (8,000,000) and has now sold over 20,000,000 copies. "Elizabeth was a beautiful princess. She lived in a castle and had expensive princess clothes. She was going to marry a prince named Ronald". You can hear Munsch reading it on his website. In fact you can find information and hear him read all his books on his personal site. He has over 50 books in print and today is one of Canada's most popular children's authors. 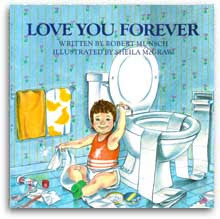 For more information you can visit the Official Robert Munsch website. In a recent article in the New York Times the findings of a major study by the USA Educational Testing Service highlights just how important it is for parents to spend time with their children. As well, it repeats the consistent finding of 50 years worth of research that if you read to and with your children regularly that it helps your child's reading and chances of success at school. The study also offers some public policy reminders and shows why single parents find it harder to offer children the support they need. One of the challenges of being a sole parent is finding the time to give one-on-one attention, including reading. The study, The Family: America's Smallest School concludes that a large proportion of low achievement in schools can be explained by factors that have nothing to do with schools. Instead, the researchers suggest that school failure is often linked to the level of poverty and government’s inadequate support for programs that could make a difference, like high-quality day care and paid maternity leave. The E.T.S. looked at the impact of four non-school variables: The percentage of children living with one parent; the percentage of eighth graders absent from school at least three times a month; the percentage of children 5 or younger whose parents read to them daily, and the percentage of eighth graders who watch five or more hours of TV a day. Using theses four variables, the researchers were able to predict each US state’s results on the federal eighth-grade reading test with great accuracy.